We are one of the renowned manufacturer of electronic goods like ups, inverter, stabilizer, and batteries for light. All the products offered by us are quality tested. The variety of electronic goods we manufacture is highly efficient, user-friendly and is available at the most competitive prices. 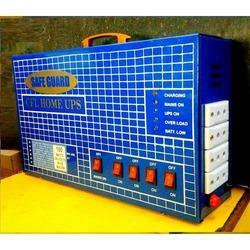 We are reputed manufacturers, suppliers and exporters of the best variety of Home UPS. These can be used for CFLs, tube lights, mini TV, fan and even soldering iron. Our energy efficient product is manufactured from superior quality basic materials. Customers can avail this new and unique innovation at a very competitive price. 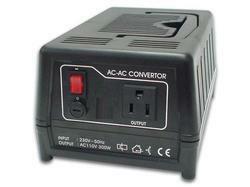 Our company is counted among the top companies involved in offering superior quality AC Converter. These converters are characterized by overload protection and are available in different specifications. These products are made from high quality raw materials, which ensure their durability. These products are available at most economical prices. We are widely appreciated for providing a wide array of Power Batteries, which are manufactured using high quality raw materials. We manufacture them in compliance with the highest quality standards. The quality of these products is ensured through stringent quality checks conducted by our quality analysts. The offered batteries are competitively priced.